Paying postpaid bills and loading your prepaid accounts are now parts of your monthly or weekly routines. You might as well get rewarded every time you do them. 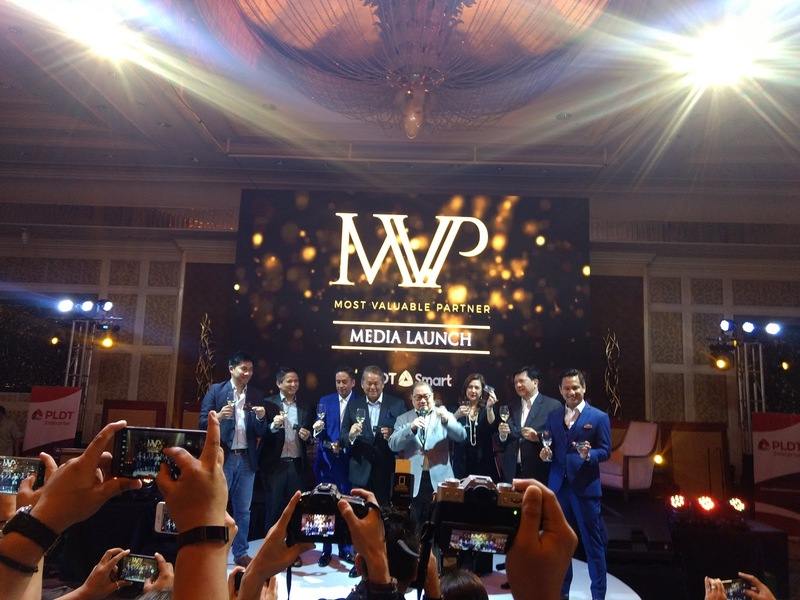 This is one of the good things about the MVP Rewards program, launched today at the Shangri-La Hotel in Makati. The program unifies the loyalty/rewards program of PLDT, Smart, TNT, and Sun through a single, powerful rewards account - a PayMaya powered MVP Rewards virtual account or physical card. Simply put, every time you pay your bills on time and load up your prepaid subscription, you get the equivalent rewards amount as cash credit in your MVP Rewards card. That's it. No more points conversion, no more choosing in a rewards catalog in order to redeem. You can use the card to purchase from any establishment or online store accepting PayMaya. So your rewards do not only come as physical items, you can also buy digital goods with them. To get started, simply register via mvprewards.ph and link all your PLDT, Smart, TNT and Sun accounts. And then start accumulating your cash backs without adding a step to your regular telecoms services routines.